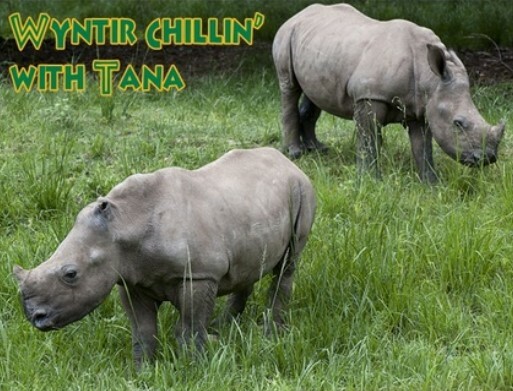 Baby Rhino Wyntir at Baby Rhino Rescue | Adopt and Donate Now! Wyntir arrived at Care for Wild Africa in June 2014. Her mother had been poached. Wyntir was found near Kingfisher Spruit, north of Talamati Bush Camp, where she had been orphaned for several days. She was very brave, managing to survive a pack of hyena that attacked her and chewed off her ears. Determined to stay alive, she managed to outsmart the entire pack. This shows what a survivor she is. She arrived at the sanctuary with severe wounds, her ears were completely chewed off, leaving shredded skin and gaping, bloody holes. She was very weak and needed 24-hour tending. It was necessary to have a volunteer sleeping in her night pen to give her the emotional support she needed. Wyntir had a rocky start but has a lovely life now.Her wounds healed perfectly and she shares a beautiful enclosure with Tana and Mabush. Because she had to fend for herself at such a young age, she is powerful, definitely a leader and an alpha, and Tana and Mabush love her and look up to her. She is very happy with her friends, she has mud baths and spends most of the day out in the beautiful outdoor area that surrounds her enclosure. There are mango trees to rest under during the hot summer days and delicious succulent green grass to graze on. And at night she is cozy and warm in her pen, sleeping closely beside Tana and Mabush. CFW is the biggest rhino sanctuary in the world rescuing rhino babies from the Kruger National Park. RPF is the world’s largest rhino sanctuary that rescues the rhino babies from private rhino owners. Working together to save the rhino. If you want to be part of a team doing great work, click here! All donations go to Baby Rhino Rescue for distribution to the highest-need projects.